Slow down. Take one breath at a time. Experience the relaxed pace of living a bountiful life, journeying on the pedal of a bike or by the window of a tram. In the abundance of the oldest wines and the most scrumptious pastries, we invite you to listen to the wafting notes of the fado, while our wellness ambassador Milind Soman invites you to see Portugal in a way you have never seen. With the dashing Milind Soman, wellness blends in your trip naturally as he takes you on a bike tour around the picturesque landscapes of Alentejo. 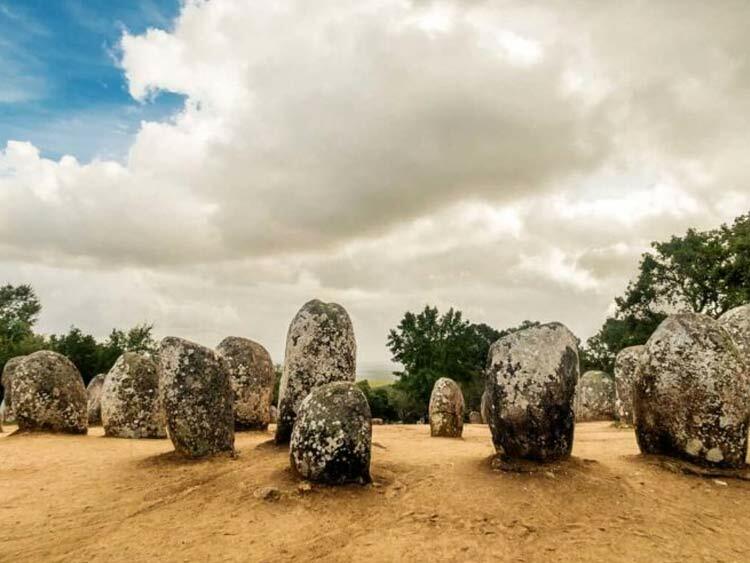 The beauty of the megalithic monuments of Evora is going to capture you. The rich aftertaste of the Porto wine is going to linger on and remain with you. Experience the city of the finest wines, Alentejo. We don’t stop at wine tasting. We take to discovering olive oil too. Delectable pop up picnic lunches by the side of the lake brings alive the farm on the table. Be prepared to be pampered by our chef with juicy greens and healthy reds. Michelin star dinners of mouthwatering local cuisine will make Portugal memorable. Indulge in simple pleasures of seeing men work in the cork fields, attending pottery workshops and learning about local handcrafts. After an intensive biking experience fold yourself in an exotic and therapeutic spa treatment. 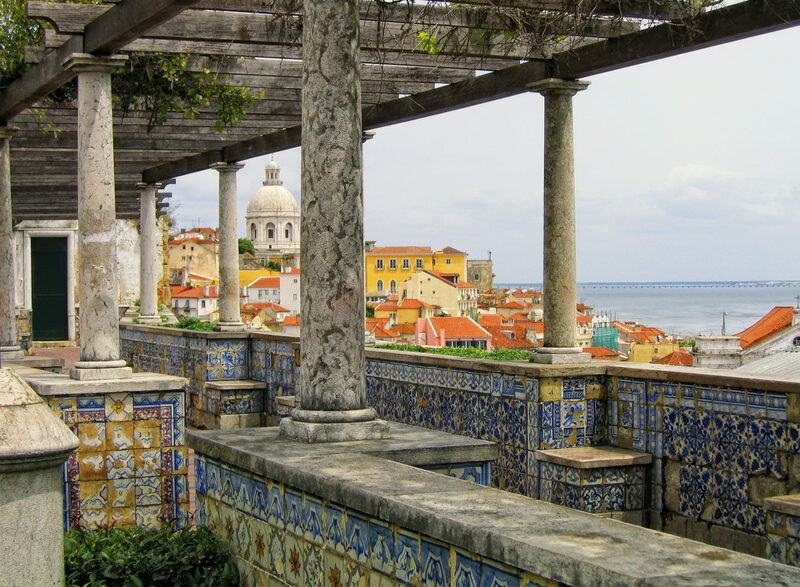 We take you on a historical heritage walk round the capital city of Lisbon. End it with an exclusive dine in at Time Out, Lisboa, with the melancholic strains of the fado playing in the backdrop. 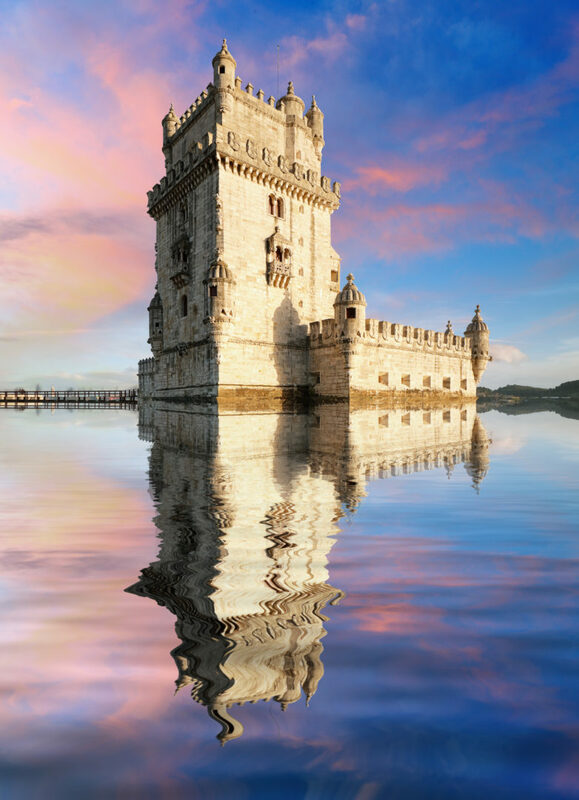 A historically rich Portugal awaits you with its colonial past etched in monuments that still stand tall. Down the tiny lanes of Portugal on a bicycle, by the pretty and dainty sidewalk cafes, feel the magical Mediterranean wind brushing aside your hair. With the melancholic strains of the fado subsiding in the distant, soak in the timeless landscape of one of the oldest and luxuriant countries in Europe. When you are travelling with the Q, expect nothing short of a royal welcome. On arrival at the Lisbon Airport you will be steered to the magnificent palatial Placete Do Cacau at the heart of the historic Montemor-O-Novo. Also called the Royal Palace Cocoa Company, this Portuguese grandeur happens to be a part of a chocolate factory. In the plush palatial suites, feel relaxed and at one with the historic landscape around. Olá, traveller! The aura of wellness, Milind Soman is going to be accompanying you biking. Are you ready? 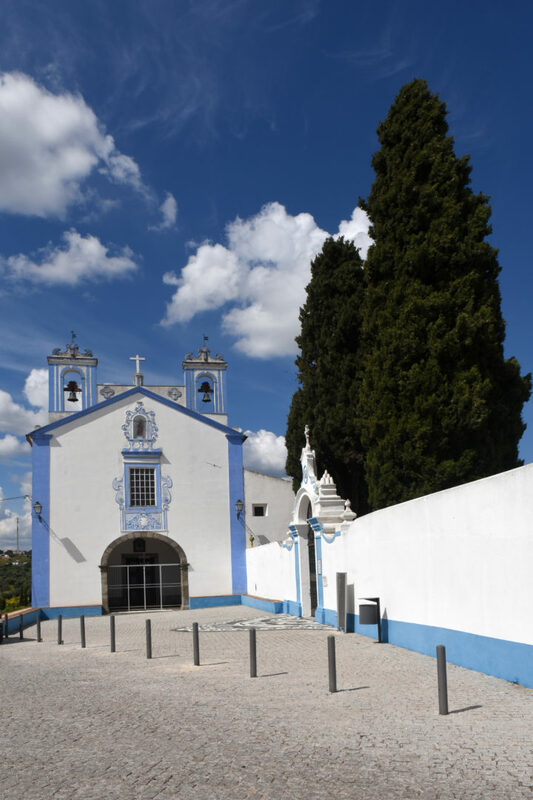 A lip smacking breakfast of meat pies and you’ll be charged up to explore the UNESCO city of Evora on the pedal of your bike with the charming man himself. This historic world heritage center will make you gape in awe at the massive megalithic structures of the past. While the Dolmen Chapel of Sao Brissos will make you fold your hands in reverence and remembrance of the way it supports the city in times of drought, the Zambujeiro Dolmen is an architectural brilliance, being set in granite and standing tallest in the world. The broad squares and the narrow lanes contradict each other. We want you to immerse yourself in this unforgettable historical experience of biking round the first city hall of the Portuguese landscape. Since Evora is endlessly enriching and we want you to experience as much of it as we can, we will make sure you are comfortably put up for two nights at the Convento do Espinheiro Luxury Collection Hotel& Spa. This fifteenth century convent had been home to thirty monks belonging to a particular monastic order founded by St Jerome. The royal family of Portugal have been taken care and tended for in this historically rich religious retreat. Now it is your turn. 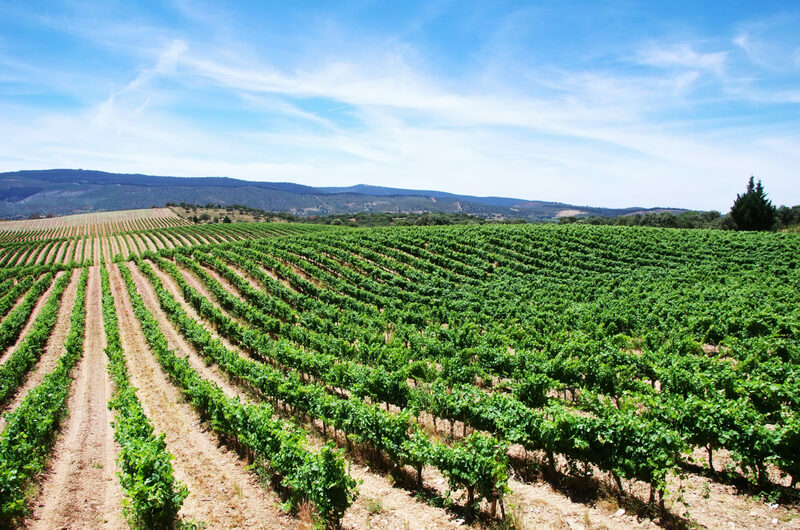 The oldest of wines dating back to ancestral times can only be found in Portugal, particularly in Alentejo. This quaint little town has the finest of wineries tucked in every lane and wide stretches of cork field. Did you know that half of the world’s cork comes from Portugal? Well, pedaling through these cultivations you will experience the humility of the city’s traditions in not only making exotic wine but corking it too and all indigenously! The limited edition Pera Manca is the wine that you can’t miss tasting. We will take you to the legendary winery in Alentejo where this porto wine is awaiting you. Feel like a wine connoisseur with the Q as the day ends dining with Milind Soman at the convent’s most prestigious wine cellar, Divinus. We bid goodbye to Evora with a heavy heart. However, our journey down the plains of Alentejo will take you through vast landscapes of dainty houses with white washed walls and coloured bands around doors and windows. 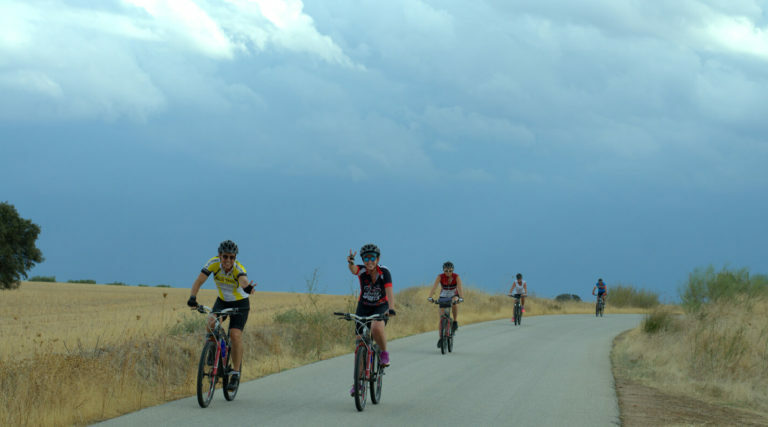 As we ride through the Alentejo greens on the bike, you can take in a lung full of the pristine, clean air of a small village at the center of Alentejo, Redondo. They say the journey is more important than the destination. At Q, we will make you wonder which is more fruitful. Going past traditional Alentejo you would have pedaled your way to Vila Vicosa, also called the “Princess of Alentejo.” Like a princess’s crown studded with precious gems, the Princess of Alentejo is decked up in beautifully carved marble. Vila Vicosa is a land of churches dotted with chapels, monasteries, hermitages and convents. Widely known for the marble that is extracted from the region, we arrange for your stay at the very museum dedicated to marble. The Alentejo Marmoris Hotel&Spa is a unique and rare luxury, owned by a family working in the marble industry for generations. Living here, the perspectives you will gain of Alentejo will be well informed and in-depth. While you have had your fill of the best wines here, we want you to bid Alentejo farewell with the zingy flavor of olive oil. The fifth day is here and you already feel sad, having to say so many goodbyes. Nonetheless we continue our journey on the wellness path. Your next destination in Portugal is Lisbon, the very point you started from. But now we would want you to stay on for a bit longer so that you leave after having imbibed the good vibes of the capital city. Soccer defines the life of the people in Portugal. The Q has thus chosen a hotel inspired by the legendary Cristiano Ronaldo, Pestana CR7 Lisboa, for your last days here. Looking onto the calming Tagus River, you can enjoy the luxury of staying at the very heart of Lisbon. Soccer themed, this hotel will really give you a high if you’re a Ronaldo fan. Curated specially to ease you off the intense exertion of biking for four days is a rejuvenating massage and spa. Wellness and luxury is never left untouched when you are journeying with the Q, even if it means taking on to the road head along.